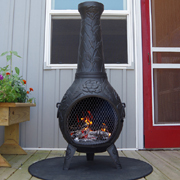 Beautiful style combined with low maintenance cast aluminum, make our chimineas the best available. 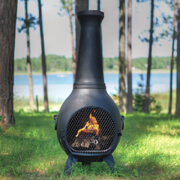 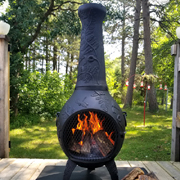 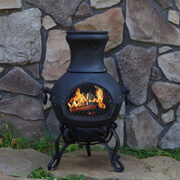 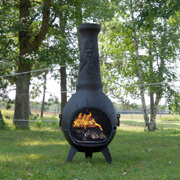 Far superior to any clay or large box store products, the Blue Rooster Company has spent over 20 years developing, designing and manufacturing outdoor fireplace chimineas with the consumer in mind. 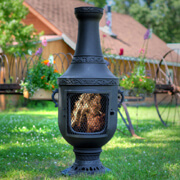 Choose from a variety of styles and sizes to suit your needs. 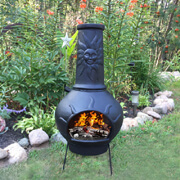 Cast Aluminum has proven itself as the best chiminea material available and will provide years of low maintenance worry free use. 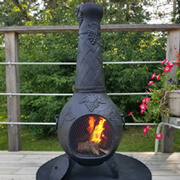 If you are considering a new chiminea and not sure what design or material will work best for you, please take a look at our 10 Free Tips page or give us a call with any questions. 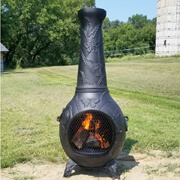 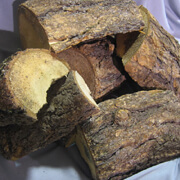 Choose a model below for more pictures and information on each design. 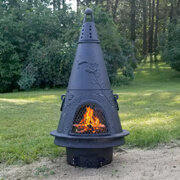 Copyright © 1994 - 2019 The Blue Rooster Company All Rights Reserved. 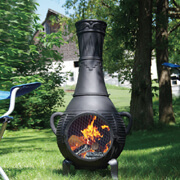 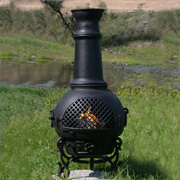 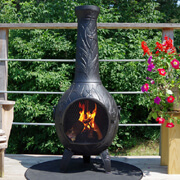 Cast Aluminum Chiminea, Cast Iron Outdoor Fireplace and Gardenware Designs Exclusive.